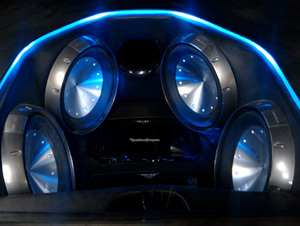 Invisible sound systems not only can meet all your home and office audio/video needs, but we can take care of your vehicles as well. In fact, we have just much experience in the field of mobile audio as we do with home audio/video. From major brands of head units like Clarion and pioneer, to amplifiers from SoundStreat, MTX and JBL, to many, many speakers - we can certainly give your vehicle an audio/video "facelift"!